Small Talk is a small setting of a maximum of 30 children at any one time. We believe that this benefits the children by receiving individual personal care, encouraging the same traditions and values as they would have at home. This allows your child to experience normal aspects of life incorporating age appropriate curriculum activities, in a stimulating environment surrounded by other children. Every child is treated as a unique individual with his or her own personality and sense of humour nurtured. Our stimulating and fun routines create a happy and secure environment which caters for the children’s genuine interests, abilities and developmental stage. Children are encouraged to be thoughtful, kind, helpful and respectful to one another as they learn to share, make new friends and understand boundaries. We provide your child with close adult attention to establish a strong bond; this attachment allows the practitioner to have a clear understanding of your child’s unique character and their ways of learning. Discovery Room provides children with the opportunity to explore their individual thinking assisted by a range of activities including Maths, Science, ICT and construction. Lets Pretend Room offers a relaxed approach to learning; allowing children to explore through their imagination and enhance social interactions. Splash Room is a place to explore through touch and texture. This room offers a wide range of sensory and messy activities to enhance the children learning. Outdoor Play Area/Outings provides children with space to move, develop and explore, using resources from indoors and out. Children can make discoveries in our woodland area, exploring nature and our mud kitchen creating opportunities to investigate the natural world. As well as experiencing our wider community and our local facilities. 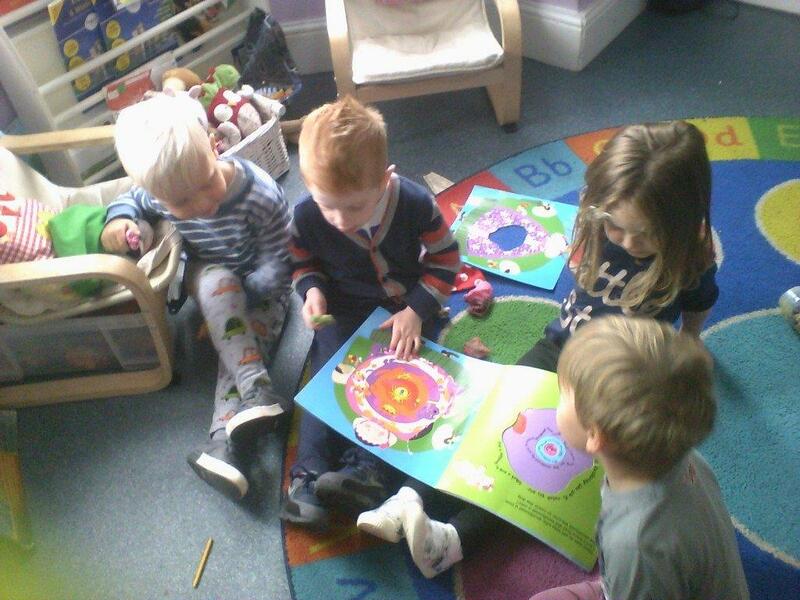 2 Year Old Support Room offers our younger aged children a space to play, learn and explore through a wide range of resources that reflect their physical and emotional stages of development.